Information about the Indicators Progress Commission Members. Learn more about the members of the Indicators Progress Commission. 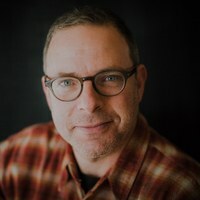 Mark Gilboard is a Business Trainer and Consultant at WESST, a statewide non-profit that offers training, lending and consulting to anyone with a passion to start or grow their small business. In addition to his current role helping to make Albuquerque a better home for entrepreneurs, Mark has also had careers in Higher Education as well as Marketing and Advertising. Mark moved to New Mexico in 1993, after graduating from Bates College with Bachelor's Degrees in both Rhetoric and Spanish. He went on to receive his Master's Degree in Intercultural Communication at UNM where he studied Latino demographics and popular culture, and mass media representation and use in "Hispanic" populations. He lives in the Parkland Hills addition to Ridgecrest with his wife, Kristen, two daughters Anneliese and Nola, and a bevy of beasts; canine, feline, reptilian, and (unfortunately) rodentia. He thinks Albuquerque is a great place to start and raise families and is committed to improving our city. He is not going back to New England, despite his mother's pleas. 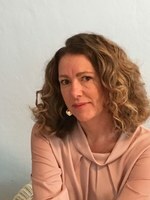 Deborah Good is the director of organization learning and research at Future Focused Education, an education-focused nonprofit in Albuquerque. Previously, she served as a research scientist with UNM's Cradle to Career Policy Institute and the director of data and research for Mission: Graduate. In her studies and her professional life, Deborah has concentrated on the roles mixed-method research, evaluation, and data analysis can play in effecting positive change and continuous improvement in programmatic, policy, and practice decision-making. 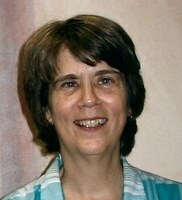 Prior to moving to New Mexico, she worked as an education researcher at Research for Action in Philadelphia. In addition to her work with the Indicator Progress Commission, she is a member of the New Mexico Out-of-School Time (NMOST) Network Leadership Council. Donna Griffin is a retired attorney who specialized in environmental, natural resource and administrative law, as well as federal benefit and grant programs. Ms. Griffin has worked as a bill analyst in the state legislature, a contract water rights attorney for the state, and an attorney for the Native American Program of Legal Aid. Most recently, Ms. Griffin was an Assistant City Attorney who provided legal services to city departments on a variety municipal issues – affordable housing, mental health and homeless, early head start, environmental regulation, water issues and environmental health programs. Ms. Griffin's early environmental career included experience as a municipal industrial waste sampler and a federal coal mine inspector, both nontraditional jobs for a woman. For a number of years, as a Department of Interior program analyst, Ms. Griffin reviewed and assessed state regulatory programs for effectiveness and compliance with state and federal law, and grant conditions. Ms. Griffin lives in a small passive solar adobe she built in 1988 to which she recently added a photovoltaic system. She supports energy efficiency in buildings and in transportation. Ariel is the Executive Director at Rio Grande Food Project, an organization that works to prevent and alleviate hunger in Albuquerque. Born in New Mexico, she completed her undergraduate studies at the University of Arkansas at Little Rock and graduate work in Public Administration and International Studies at the University of Washington. After grad school, Ari worked for a Seattle-based agency focused on breaking the generational cycle of poverty in Mali. She then lived and worked in Uganda for a short period before moving home. After 4 years in the Community Impact department at United Way of Central New Mexico, she transitioned to her current role at Rio Grande Food Project in early 2016. For Ari, good music, really slow jogs, travel, and her favorite funny people/dogs make the world go around. Diane Harrison Ogawa is a corporate lawyer and community relations expert. Her career encompassed a decade spent as a corporate banking and real estate attorney representing large institutional lenders. She is a member of the New York, Wisconsin and New Mexico bars. For nearly two decades, Diane devoted her efforts to corporate philanthropy where she led a charitable foundation and directed a community relations department. Through that work, she built deep relationships with community leaders throughout New Mexico and widespread collaborations with philanthropic, nonprofit, public and private entities. 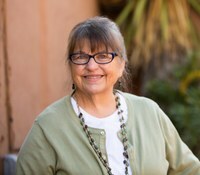 She co-founded the Center for Nonprofit Excellence, founded SHARE New Mexico, a free, statewide community web space for sharing information and promoting collaborative action to improve the quality of life of New Mexicans and was one of the driving forces behind the creation of the New Mexico Collaboration to End Hunger. Diane has served on more than two dozen community boards and will soon begin new role as Director of Community Partnerships and Systems at Central New Mexico Community College. She and her husband, Dr. Gregory S.H. Ogawa, have two daughters: Katie (UNM School of Medicine Class of 2018) and Allison (Amherst College Class of 2018). Jessie Hunt is a communications and policy strategist, and has been working in issue advocacy for 17 years. She has led organizations through organizational development and strategic planning and successfully run multiple candidate and issue campaigns. Born and raised in New Mexico and a proud Lobo, Jessie lives in Albuquerque with her husband and two children. Kendra Montanari is employed as the Socioeconomic Program Manager for the Mid-Region Council of Governments, where she has worked for the past 15 years. She specializes in the areas of land use patterns, growth trends, and socioeconomic forecasting. Along with serving on the City of Albuquerque's Indicators Progress Commission, Kendra serves on the Advisory Board for the Urban Land Institute's New Mexico District Council. She received her Bachelors of Arts from the University of Massachusetts at Amherst and earned two Masters degrees from the University of New Mexico in Community and Regional Planning and Public Administration. Before joining MRCOG, Kendra worked at the Metropolitan Area Planning Council in Boston, Massachusetts. Ms. Overby has over 20 years of experience in biotechnology, executive management, laboratory sciences, medical and research fields. She received B.S. degrees in Molecular Biology, Biochemistry, and Bioinformatics from Towson University. Prior to joining the UNM HSC CTSC team in 2012, she focused on taking novel concepts from bench-top to commercialization. She was a founder member of BioScience Vaccines, Inc., a life science company commercializing a novel adjuvant technology to improve the safety and effectiveness of vaccine products. She has worked in the Molecular Pathology and Cancer Cytogenetics Department with The Johns Hopkins University School of Medicine with research focusing on pancreatic cancer and assay development. In 2005, she joined the Research Department at Cook Biotech, Inc. where she was the principal scientist for novel extracellular matrix (ECM) based technologies from research/development phases to manufacturing transfer. She managed undergraduates, interns, medical students, and support staff with experimental techniques and laboratory protocols/procedures as well as establishing and maintaining CAP-certified and Biosafety Level 2 and 3 (BL2/BL3) laboratories. Ms. Overby has multiple patents issued and pending as well as, peer-reviewed publications. Bruce Perlman received his Ph.D. in Government from the Claremont Graduate School. 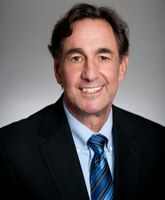 Currently he is Regents' Professor and Director of UNM's School of Public Administration where he has been a Senior Fulbright Lecturer, UNM Presidential Lecturer, and held the Hatch Chair in Law and Public Policy. He has held posts and consulted widely on government affairs both in the United States and abroad for governments and for organizations ranging from the U.S. Congress and Agency for International Development to the World Bank and Inter-American Development Bank. He has served as the Chief Administrative Officer of the City of Albuquerque and as Deputy Chief of Staff to the Governor of New Mexico. He is the former editor of the State and Local Government Review's Governance Matters Section and the former editor-in-chief of the Journal of Public Affairs Education. Dr. Perlman is the author of over fifty academic journal articles and publications and of two edited books, one in English and one in Spanish. Frank Roth is a native Albuquerque resident with 20 years of experience in local government policy and research. He currently is the Senior Policy Manager at the Albuquerque Bernalillo County Water Utility Authority. Mr. Roth is responsible for developing and implementing the utility's long-term goals and short-term objectives, policies and priorities for the operating and capital budgets, and customer outreach/engagement and customer opinion surveys. Mr. Roth has authored and presented several papers on the utility's performance improvement program and effective utility management planning. 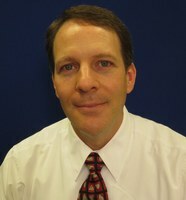 Mr. Roth holds a Master's degree in Public Administration from the University of New Mexico. He is committed to making Albuquerque a better place to live and work. Wendy Wintermute, Ph.D., sees her current role as Outreach Manager for SHARE New Mexico, a statewide community information website, as the culmination of a career helping communities come together to support healthy families, vital communities, and supportive institutions. Moving between university and community, she has a particular interest in helping people understand and use data to inform action. 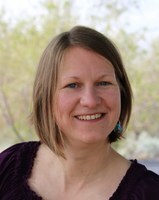 While chairing the Social Work Department at the University of Southern Colorado (now CSU-Pueblo), Dr. Wintermute and her team of student researchers, working with community members with funding from the Colorado Trust, produced a series of community indicator reports for Pueblo, Colo.
Dr. Wintermute has an MA degree in family and community relations from Columbia University Teachers College, an MSW and Ph.D. in sociology and social work from the University of Michigan. She credits her practical education to the communities in which she has learned and served and the community members who have generously mentored her in the fine art of working together.